Urmila Matondkar was born on 4th February 1974 in Mumbai, Maharashtra state. She attended Pune University. 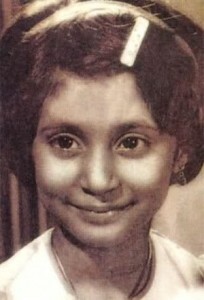 She entered films as a child artist through Bollywood hit Kalyug in 1981 co-starring Shashi Kapoor and Rekha. Her big break was with Masoom in 1983. She made her adult debut through Bade Ghar Ki Beti in 1989 but the films failed to impress the box-office. She subsequently appeared in numerous box office hits like Narsimha co-starring Sunny Deol and Dimple Kapadia, Rangeela co-starring Aamir Khan and Jackie Shroff, Satya co-starring J.D. Chakravarthy and Manoj Bajpai, Pyaar Tune Kya Kiya… co-starring Fardeen Khan and Sonali Kulkarni, Om Jai Jagadish co-starring Anil Kapoor, Waheeda Rehman, Fardeen Khan and Abhishek Bachchan, Bhoot co-starring Ajay Devgan and Fardeen Khan, among other films. She entered Television shows in 2008 as a host through singing reality show named Waar Parriwar aired on Sony TV. In 2011 she appeared as a judge on dance reality show called Chak Dhoom Dhoom which was aired on Colors channel. Since then she is appearing in small screen very often. She was born to Shivinder Singh, a lecturer and Rukshana Sultana, a Marathi house maker. She has a sister named Mamta Matondkar, also an actress.